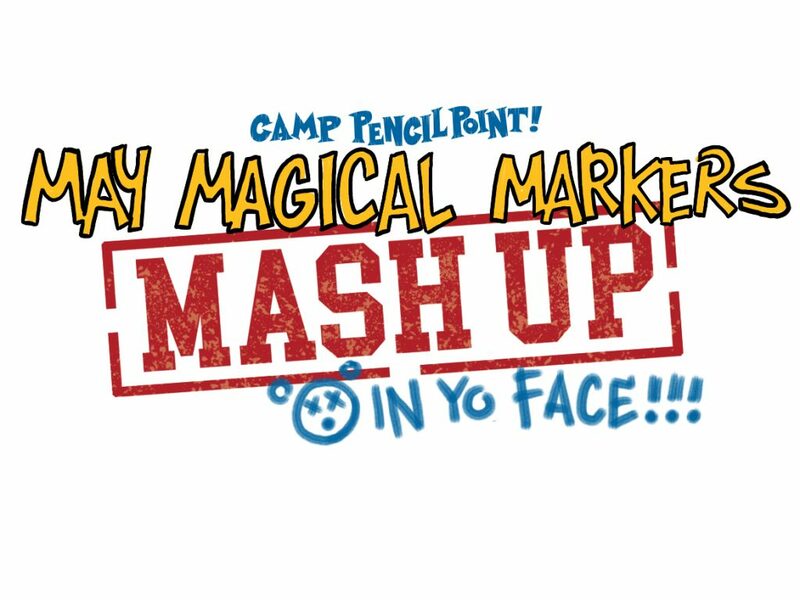 Hey Camp PencilPointers! 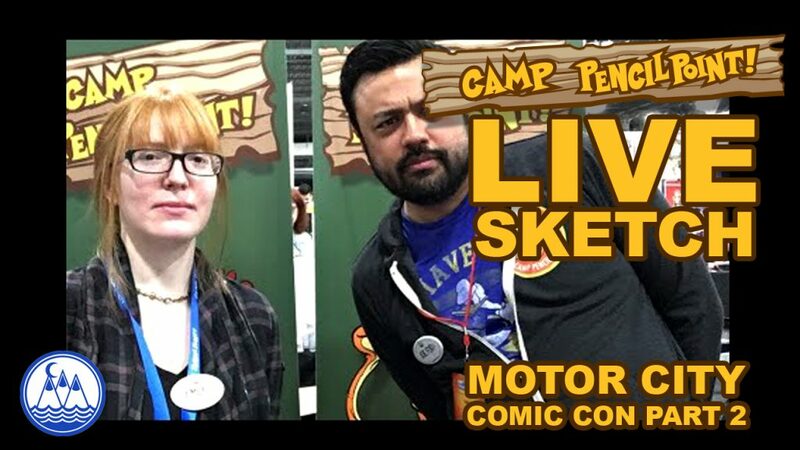 Just a heads up that we will be doing a few LIVE broadcasts from MegaCon and from WDW over the next few days. Subscribe to our YouTube Channel, because you never know when we will do a surprise live video… like maybe on Saturday… or Wednesday… or something. Ya know. Just click on the bell icon in the upper right corner of our YouTube page. 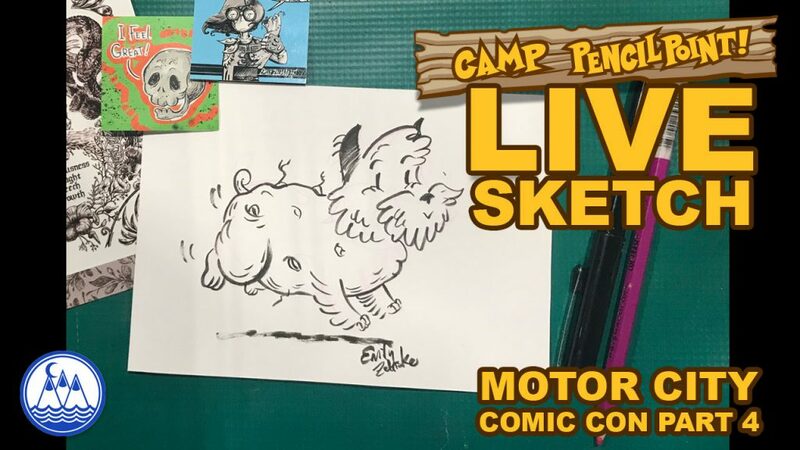 Surprise Live Sketch– This impromptu video was streamed live from Motor City Comic Con featuring Joe Foo, Emily Zelasko… and Spud! In this drawing game as a tribute to Spud, Emily sketched a puppy and potato mash up (pun intended). We all try to make Emily laugh, she draws a potato puppy, I think I finally get the camera orientation correct… and a nice kid gives us balloons. It is quite a way to finish of Motor City Comic Con! Care to mash together your pet with a vegetable… or a starch… or a sandwich? Let’s see what you draw! Post your art to social media and use the hashtag #CAMPPENCILPOINT. The artists of Camp PencilPoint will keep an eye out for these! 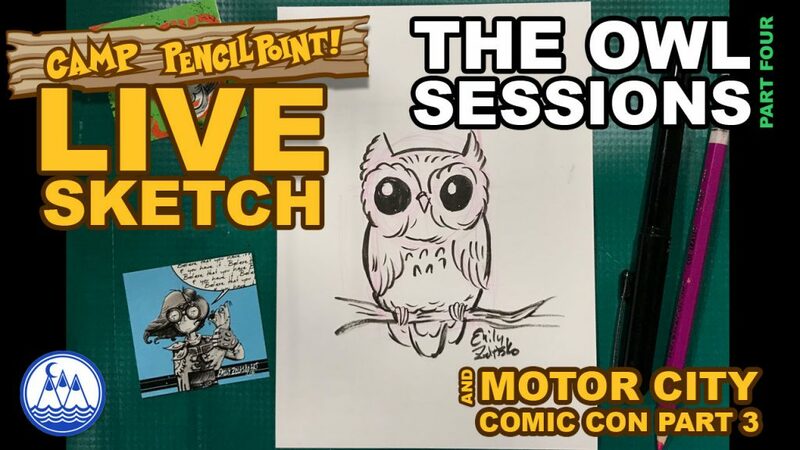 Surprise Live Sketch Challenge– This impromptu video was streamed live from Motor City Comic Con, where Joe Foo and Emily Zelasko played another fun drawing game. The game was the “silly scribbles” and Emily ended up drawing a very cute sloth!